St. Henry's Ecumenical Art Chapel is placed in the landscape like religious buildings traditionally were. 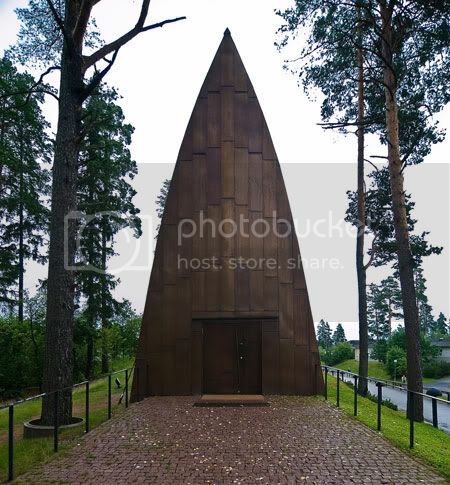 Outside the city of Turku, it stands upon a hillock amidst pines and spruces on the island of Hirvensalo, an area characterised by open fields and wooded hillocks. The shape of the building follows the contours of the site. The gradually forming green patina of the copper cladding blends in with the colour of the pine trees. 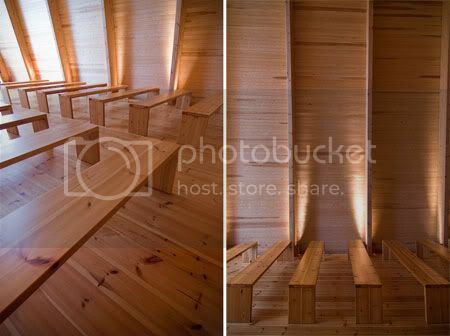 Amidst the buildings of an activity centre, the chapel resembles an old village church. The entrance to the east-west oriented church is from the western end. The permeating idea is that of a quiet journey towards the east, the altar. The lighting, too, confirms this idea. One walks from darkness towards light from a hidden source. The elongated nave is organised in two parts, the chapel in the front part and the gallery at the back. The visitor can study the works of art during the service. The arrangement is familiar from Renaissance churches. 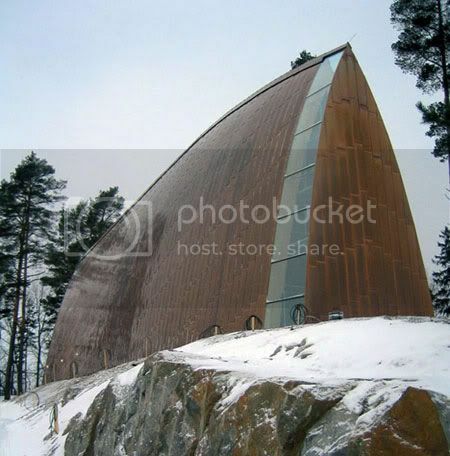 The chapel is constructed like an upturned boat. Another layer of recollection is that of a herringbone. The loadbearing structure consists of tapering ribs made of glued-lasminated pine. Rising at two-meters intervals, they give the building a natural, organic form. 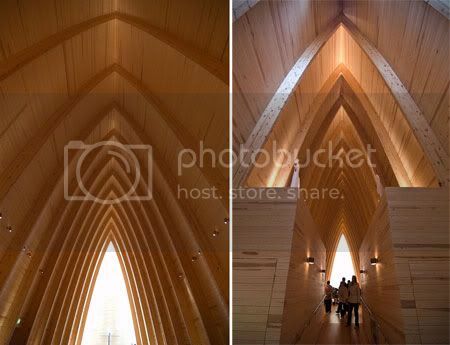 Between the ribs there is a curved interior lining of ten-centimeters wide, untreated pine boarding. In the course of time, natural light will turn the tone of the timber to a reddish color. The floor boards, twenty-centimeters wide and five-centimeters thick pine planks have been nailed to the joists and run parallel to the space. The floor is waxed and makes a clicking sound like the floors of old churches when you walk inside. The vestry furniture, vestibule benches and hat rack are made of solid, edge-laminated common alder. 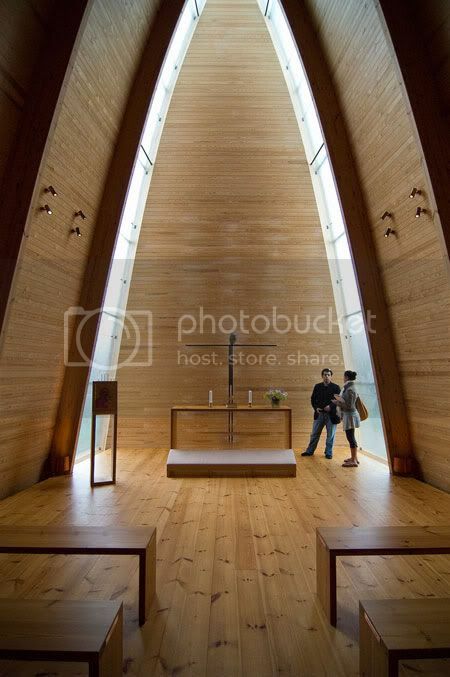 Since the client was a union of several different churches - Lutheran, Catholic and Orthodox,the symbolic fish form serves to unite all the various churches involved in the chapel while the interior has powerful references to the Bible tale of Jonah in the whale’s belly. Even the exterior of the chapel covered with glimmering copper plates applied in a pattern suggesting fish scales are supporting the overall impression of that creature. While the impressive fish volume appears rather compact and enclosed from the outside, the experience changes radically while entering the entrance at the western gable. 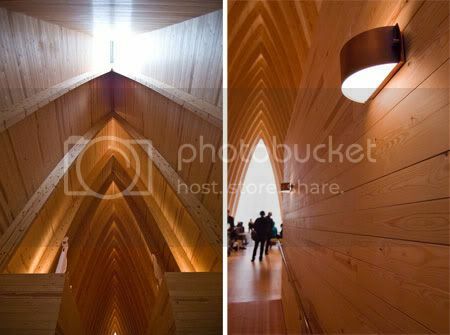 A magnificent high pointed interior composed of laminated pine beams are meeting dramatically in a ridge almost ten times the height of a human. 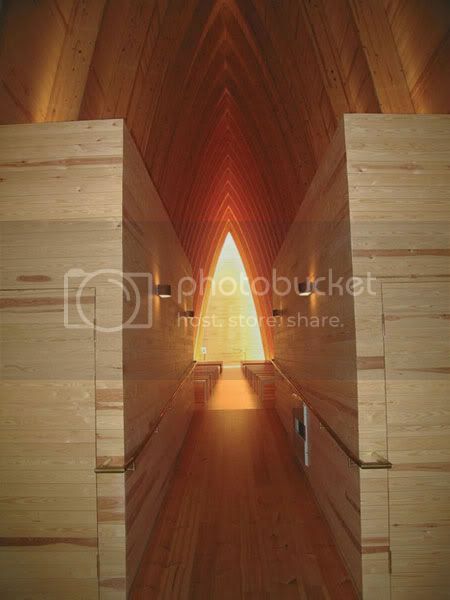 At the bottom of the mayor space the aisle is spatially separated from the nave of the church by secondary spaces hid in two wooden boxes intersected by a rampart moving upwards. Along the sides of the rampart restrooms, an office as well as a staircase leading up to the choir balcony are hiding. Sanaksenaho has restrained the wooden cross at the altar so it almost appears camouflaged since he didn’t want the religious symbols to be too intrusive. 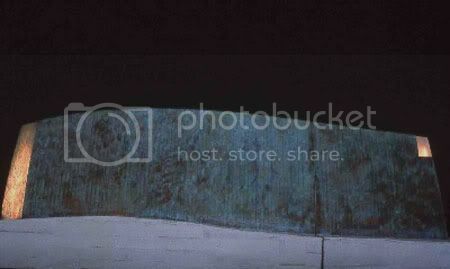 Instead he provided a naked interior for quiet speak in order to allow greater space for the visitors’ own reflections. Amazing space and the exterior is excellent. 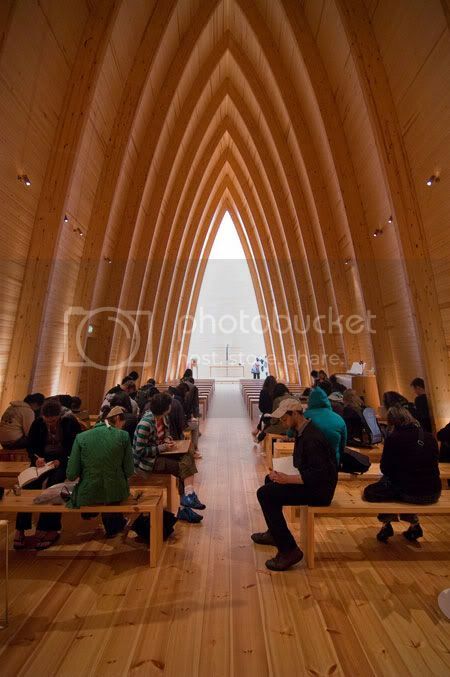 On the flip side I have to ask if any of the architects involved in these new wave churches have ever sat in during a service. Puritan themes or client requirements aside, a flat zero back bench is only good for smoking a cigarette for a few minutes, not an hour long mass. Its self-defeating in practice when attendants pay more attention to their stiff backs than the mass itself. 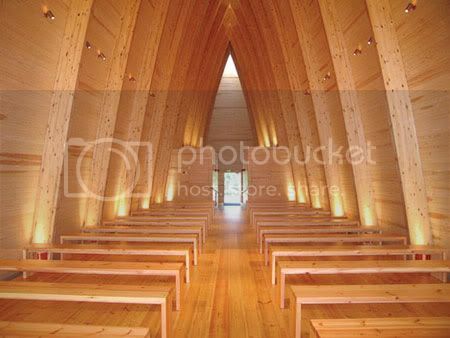 Very, very beautiful, but a church designed by someone who doesn't attend a church or have a religious conviction. Hear Hear! This is a stunningly beautiful building, but while i can see the connection to mathematics and ideas, the connection to the human body is less obvious. Neglecting how a space will actually be used by it's human inhabitants seems to be a common (if not cliched) architectural mistake. I can point to many at the university where i work (Bus shelter in front of air con intake any body?). What do the congregation here do with prayer books while they are not using them? Put them on the floor? On the seat? Neither seems right. In the end humans will adapt the space- expect to see mis-matched cushions and second hand shelving units in five year's time, the same way my university's bus shelter is used for motorbike parking. Well.. architects seldom live in their own creations. Excellent architecture! I am a huge fan of Juhanni Palassma and Tadao Ando and this building is simply a combination of both genre. 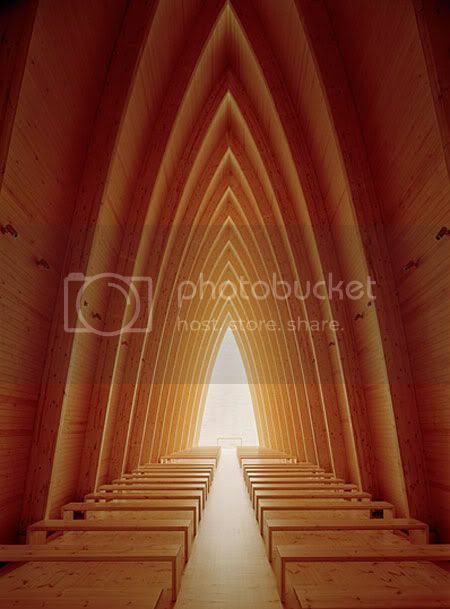 Phenomenology architecture is employed greatly so that when the church-goers would concentrate on the sermon or mass instead of the ornamentation. Architecture is reduced to just Space and Space is experienced by only the Architecture.